Our Wine Adventure is concluded. With your help, we succeeded in what we sought to achieve. 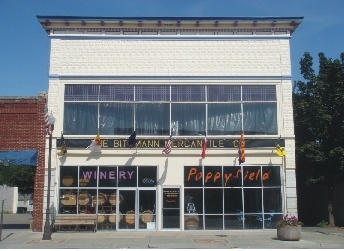 We made wine, had fun, brought a few more people to mainstreet of our little town. Your patronage, support, interest, wishes, thoughts, etc., were more appreciated than we can say. Thank you so very much. In the end, we stand with Galilieo, "the Romantic", for Wine truly is sunlight, and life, friendship, love and memory, held together by water.